Jazz Fremantle founding member Lew Smith still organises gigs and plays at the Navy Club in Fremantle. �It was 1950 and I saw him at the Birdland club in New York, and I was so impressed because he was a world-class performer before he got into the drugs,� Mr Smith said. Mr Smith is a self-taught musician and his contribution to Australian and British jazz over 60 years was recognised, with 14 other arts Living Legends, at a Gallery of WA ceremony last Friday. Yorkshire-born Mr Smith was 12 when he started playing drums in his father�s dance band before picking up his beloved saxophone at aged 15. His first professional job was playing on Atlantic passenger liners that took him to New York � that Charlie Parker gig � and to also explore the jazz of trumpeter Dizzie Gillespie. A year later, music led Mr Smith to his singer wife June, who was with the Ivy Bensons� All Girls Orchestra at a Butlins Holiday Camp in Yorkshire. �She was an attractive lass and a very good singer,� Mr Smith said. However, the mid-�50s arrival of rock and roll killed dance jazz bands and Mr Smith started playing music in theatres which, he said, �bored me to tears, it was so repetitive�. As a result, the couple migrated to Melbourne, where they had a band called Maximum Load, before moving to WA in 1974 when Mr Smith started teaching music at the Claremont Secondary Teacher�s College, and the family raised four children. �June and I had a band together � the Apple Band � in which I played flute, clarinet and saxophone,� Mr Smith said. 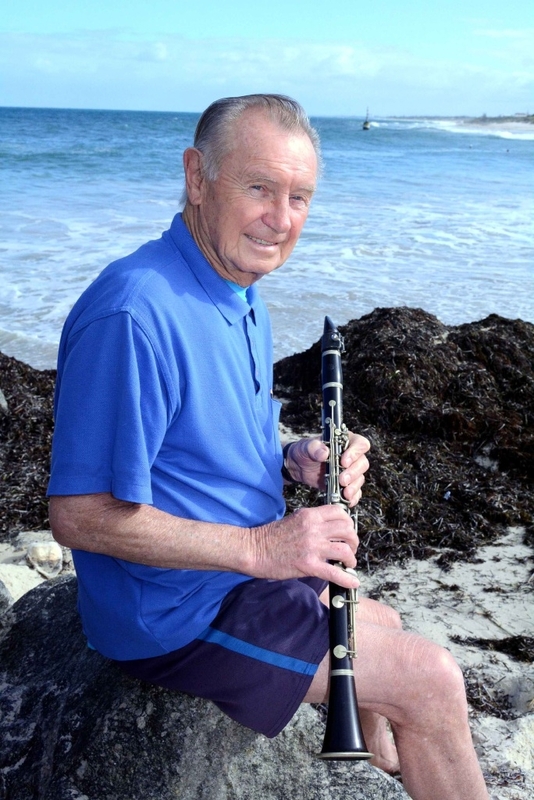 As a founding member of Jazz Fremantle, Mr Smith still organises gigs and plays occasionally at the Navy Club in Fremantle, in between daily morning swims at Cottesloe Beach.